It is with heavy heart that I write this post after hearing of not one but two police shootings of black men this week alone. It's heartbreaking. It's absurd. It's important. 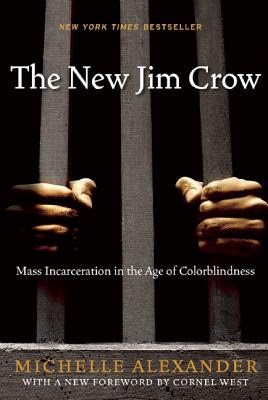 I had a lot of books floating around in my head for our possible August read, but I've decided to go with The New Jim Crow: Mass Incarceration in the Age of Colorblindness, by Michelle Alexander. It seems (unfortunately) timely for our next pick, and though I know several past club participants have read it already, I'm hopeful it will still foster some discussion among those reading it for the first time and those revisiting the subject with the group. A halfway-through-the-month post with discussion questions to consider when reading/writing about the book? Another author Q&A or guest post, if it can be arranged? Something else I haven't dreamt up yet?